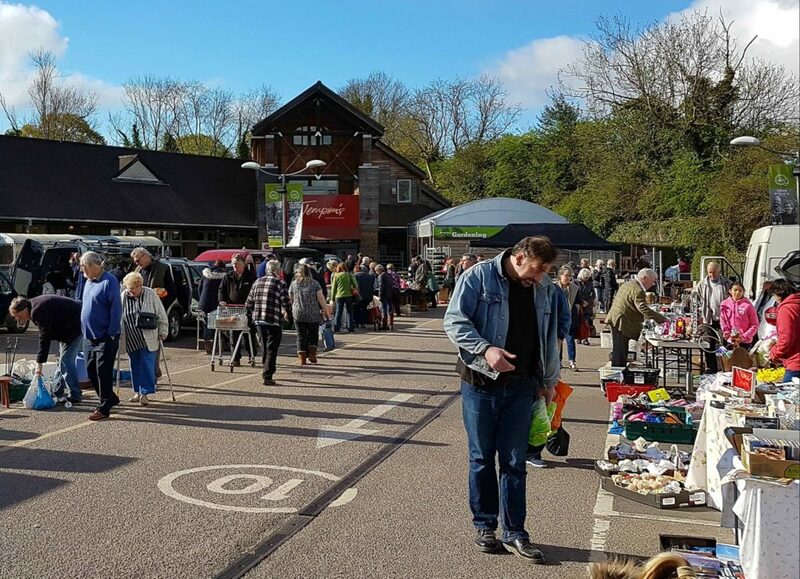 We are delighted to be hosting a number of Bank Holiday Charity Boot Fairs again this year in the Peasmarsh car park, with all sales of pitch proceeds being donated to local good causes and the Easter Bank Holiday event on April 22nd, in aid of Rye Wildflower Meadow Project will be the first in this year’s calendar. All of the dates are listed below, so pop them in your diary. These local charities benefit from both our hospitality and, we hope, your support as there’ll be something for everyone! You can buy a hard-standing pitch on the day from £5 (which we donate to charity) and gates open at 7am. Our Peasmarsh Superstore and petrol station will be fully open throughout. There’s plenty of free parking and the whole family are always very welcome. 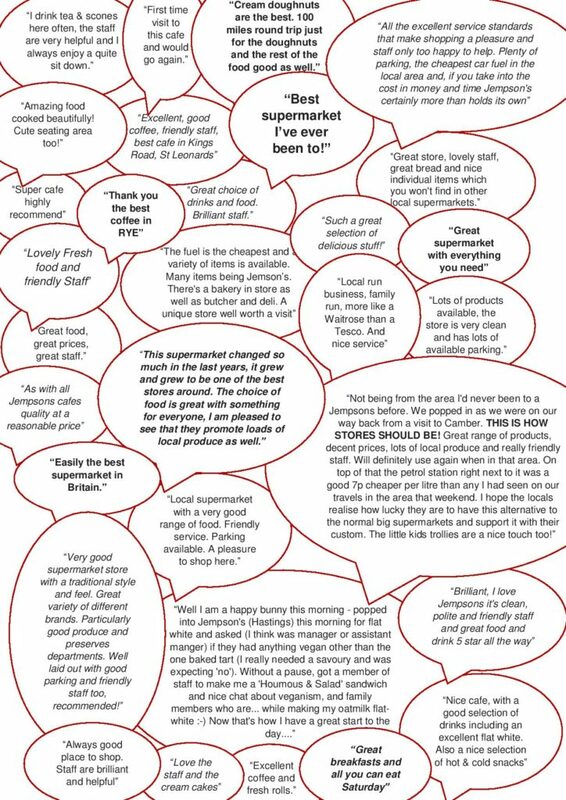 We’ve had some truly wonderful Google Reviews on all of our stores and cafes. We would like to say a massive ‘thank you’ to everyone for all of your support and as always we very much look forward to welcoming you again soon. 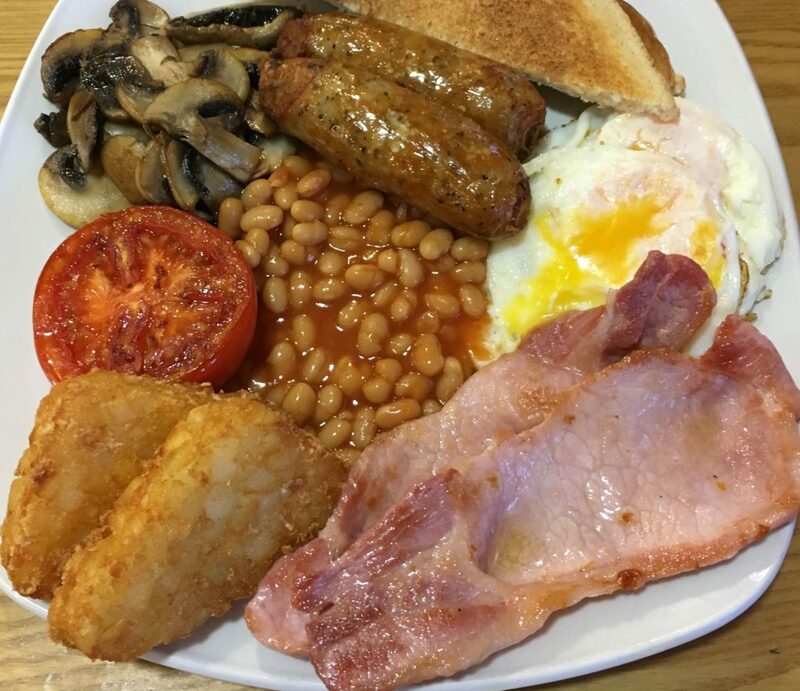 Our fantastic “All You Can Eat” Big Breakfast is just what’s needed to get you going on these cold winters mornings. Sausages, bacon, tomatoes, mushrooms, baked beans and hash browns (chips after 11am). Eggs and fried bread cooked to order. So much to choose from and you can go back for more, so come hungry! Celebrity chef, author and television presenter Rachel Allen recently hosted two cookery demonstrations with a book signing at our Peasmarsh Superstore. 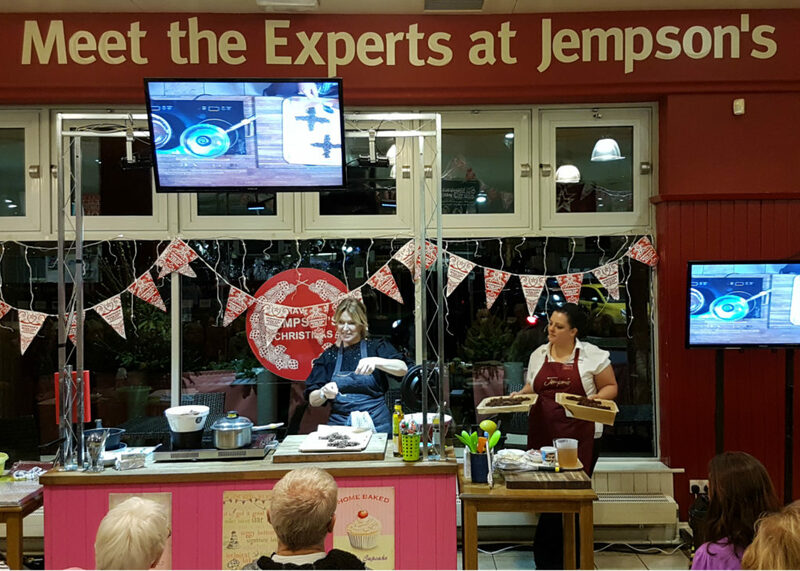 The event was a resounding success, seeing the talented chef cooking three recipes and signing copies of her latest book ‘Home Baking’. 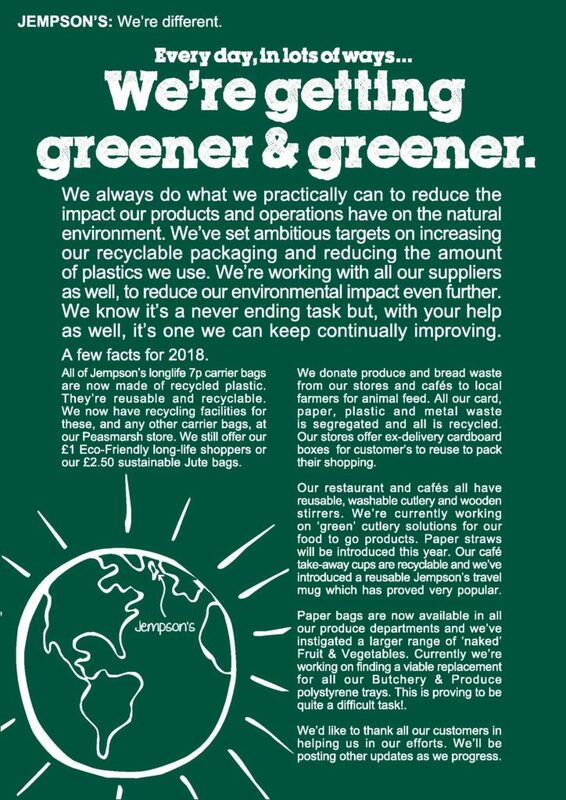 Every day, in lots of ways….. We’re Getting Greener & Greener! Our fabulous brand new ‘Storm’ Touchless Automatic Car Wash is now open at the Peasmarsh Superstore. 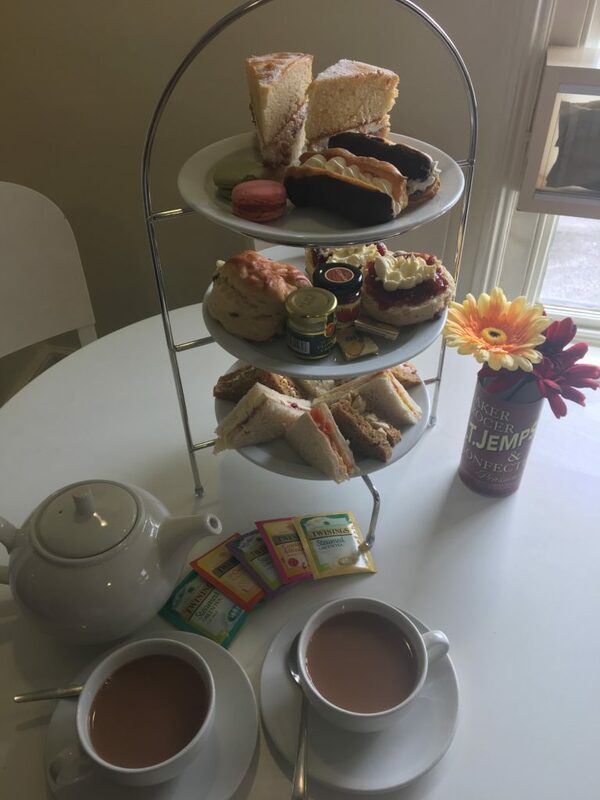 Why not treat yourself to a fantastically delicious, full Sussex Afternoon Tea at our Rye Cafe’ in Cinque Ports Street, between 12pm – 4pm, for just £15. Choose from smoked salmon & cream cheese, prawn & Marie Rose sauce, coronation chicken and ham & mustard or egg & cress, brie & cranberry, cheese & pickle or cream cheese & cucumber sandwiches followed by large scones, clotted cream & strawberry jam and last but by no means least, slices of our gateaux of the month, mini chocolate Eclairs and Macarons – phew. Served with tea for two, this sumptuous afternoon tea is enough to spoil anyone. Really want to stop smoking? Have you struggled and failed in the past? We know how difficult this can be, so we are here to provide the smoking cessation solution and support that is best for you. We have a wide range of Nicotine products available to you and are one of the few pharmacies in East Sussex accredited to prescribe the most effective medication for stopping smoking, without you actually needing to see a doctor. Standard Jempsons Giftcard Terms & Conditions also apply. Mon – Thurs, our breakfast menu is served from 7am to 11am and includes our Mega Breakfast, Early Starter, Breakfast Bap and Eggs on Toast. On a Friday our fantastic, All You Can Eat – ‘The Big Breakfast’ is available from 7am – 11am and Saturday 7am – 4pm. Sausages, Bacon, Eggs, Tomatoes, Baked Beans, Mushrooms, Fried Bread and Hash Browns (chips after 11am). So much to choose from and you can go back for more, so come hungry!!! Mon – Fri, our main menu and specials board is available from 11am – 5.30pm. Lots of choices from Scampi, Chips & Peas, Local Roast Dinner served with Roast Potatoes, Yorkshire Pudding & Seasonal Veg to Cheese, Ham or Pate Ploughmans served with Crusty Bread, Pickles, Crisps, homemade Coleslaw and Salad. Our fantastic Summer Menu is now out and features our Kentish Mayde Local Hero quiches. Handmade from scratch using locally sourced products with choices from Mushroom & Stilton, Smoked Salmon & Asparagus, Mature Cheddar & Sun Blushed Tomatoes, Mature Cheddar & Spicy Red Onion Marmalade and that perennial classic Quiche Lorraine. There really is something for everyone. As always, Mon – Sat, drinks & cold snacks served until the store closes at 7pm. 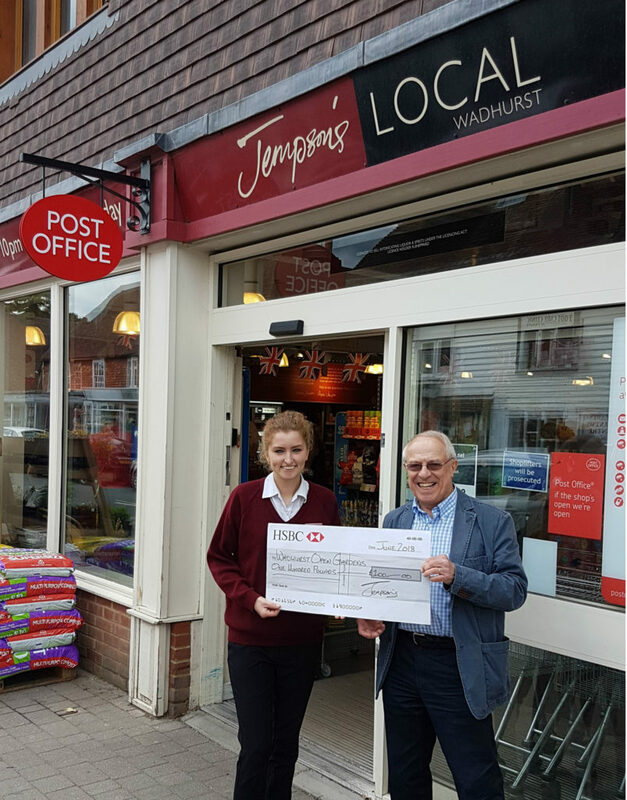 The Jempson Foundation recently made a donation to Carillon Cottage, for their annual fundraising event ‘Wadhurst Open Gardens’. 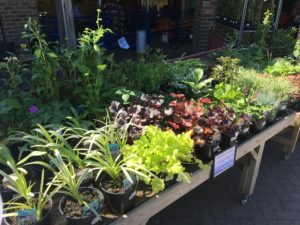 Wadhurst Open Gardens is an annual fundraising event which gives the opportunity to reach out to the whole community by providing a very enjoyable afternoon involving the whole village. From small beginnings the event has grown and now attracts visitors from near and far. This event for the village is their main fundraiser and helps support all the local services they provide for the local community including a volunteer driving scheme to take people to local and hospital appointments. Pictured Michael Bradford and Wadhurst store manager Lucy Gardener. 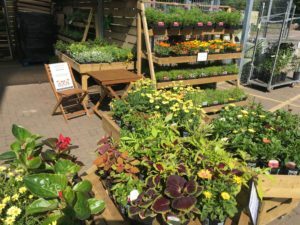 At our Peasmarsh mini Garden Centre plants are grown, exclusively for Jempson’s in Sussex, so there is always something new to catch your eye. 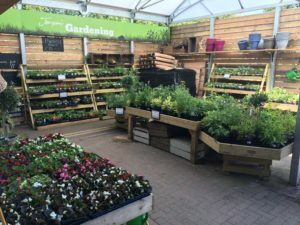 We’ve a fantastic range of pots in all sizes to help transform your patio and along with the great range of annuals, perennials, vegetables, herbs and hanging baskets we’ve all you need to get your garden looking great. The Jempson Foundation recently made a donation to the Rye Street Pastors. The Street Pastors assist those within the community who may be in a vulnerable situation, they cover Rye, Rye Harbour and Camber using a vehicle which was donated by Sussex Police and insured by Jempson’s. 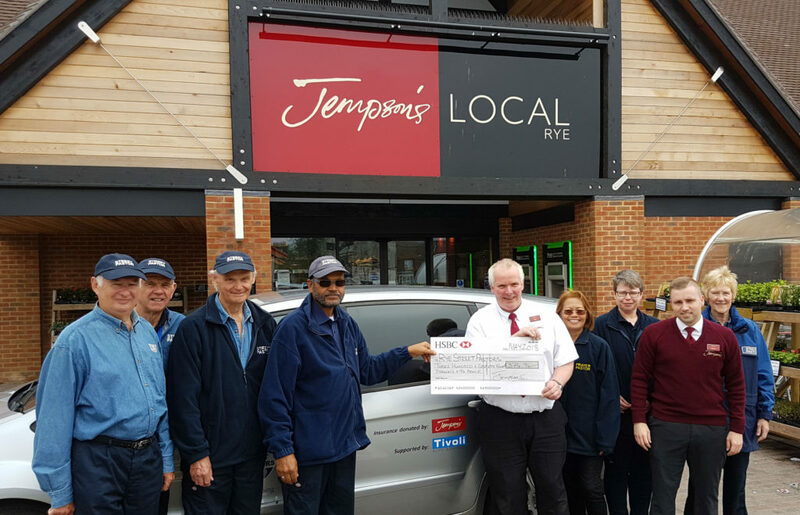 Stephen Jempson said, ‘We are absolutely delighted to offer our support to Nizam and his team’ he continued, ‘These trained volunteers offer invaluable support to the residents of Rye as well as other local communities for which we are very grateful’. Pictured with Nizam Mohammed and his team are Rye store manager Neil Sheppard and deputy manager Bowie Senior.